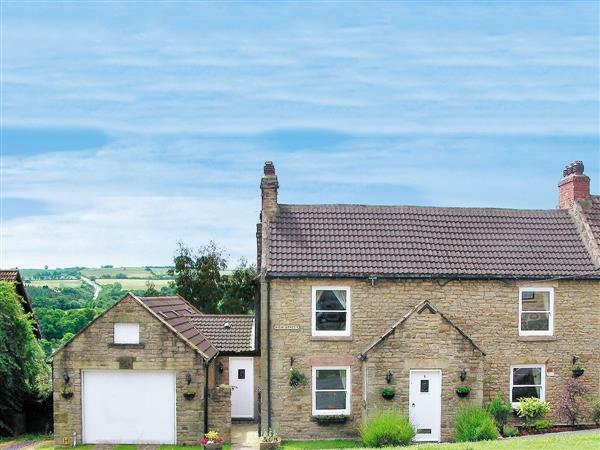 Arrow Cottage in Witton le Wear, Co Durham, Northumberland sleeps 15 people. Set in the heart of the ‘picture-postcard’ Anglo Saxon village of Witton-le-Wear - steeped in history with its 12th-century tower, Norman church and views of the 15th-century Witton Castle - this attractive large house (built circa 1780) provides spacious living accommodation for families to get together or to celebrate a special occasion. Standing detached, Arrow Cottage has lovely gardens to enjoy together with river walks and the renowned Low barns Nature reserve nearby where visitors can relax and unwind, making this is a tranquil and peaceful holiday retreat. It is perfectly located to explore this magnificent Area of Outstanding Natural Beauty - starting in the quiet picturesque village, which has a good real ale pub on hand. The Wear Valley Area is noted for its outstanding natural beauty and diversity of wildlife together with beautiful breathtaking scenery, peppered with small villages bustling with hospitality for locals and visitors alike. Hamsterley Forest, with its pathways, cycleways, bridleways and numerous sporting and leisure activities, lies 4 miles to the west. Durham city is 15 miles away with its majestic cathedral, cobbled streets, eateries and galleries. Raby Castle with its 200-acre deer park and fine medieval interior is a short drive, while Barnard Castle - a bustling market town famous for The Bowes Museum, is a 30-minute drive. Newcastle (55 minutes), and York (90 minutes), both have fine museums, shops and galleries. Crook 5 miles. Bishop Auckland 4 miles. There is also excellent shooting nearby (Arrow Cottage has a gun cabinet), as well as river and lake fishing. Pub 50 yards. Beamed living room with decorative cast-iron fireplace, wooden floor. Beamed dining-room with decorative cast-iron range, wooden floor. Step down to large well-equipped kitchen with Rangemaster cooker, slate floor, and door to patio. Sitting room with open fire, wooden floor, door to patio. Steps down to beamed games room with TV, slate floor and access to garden. Stairs to twin-bedded room with additional guest bed (for +1 child) with en-suite bathroom/W.C. with corner bath and shower attachment. First floor: Two double bedrooms, each with decorative fireplace; one with high beamed ceiling, 5ft bed and additional single bed (for +1), one with four-poster bed, additional single bed (for +1) and wooden floor. Two twin-bedded rooms; one with decorative fireplace, one with wooden floor. Bathroom/W.C. with cast-iron claw-foot bath and bidet. Walk-in fully-tiled shower room/W.C. Separate W.C.
For a better idea of where Arrow Cottage is, you can see Arrow Cottage on the map below. Arrow Cottage is in Durham; should you be on the lookout for a special offer, you can find all the special offers in Durham. It's always worth checking to see what is on offer at the moment. Do you want to holiday near Arrow Cottage (MQG), you can see other cottages within 25 miles of Arrow Cottage; have a look to find your perfect holiday location.